Being one of the style capitals of the world, the Big Apple is a trendsetter when it comes to interior design. When wood blinds came to New York City homes, designers everywhere followed the trend. It’s not hard to see why wood blinds are now in vogue. Wood is a classic material that is associated with high-end homes. This earth-friendly material is so versatile that it could be used in both organic-themed and modern spaces, where combined with either cloth or metal, it frames windows very nicely. In addition, wood blinds in NYC have the advantage of providing near-complete shade and acoustic absorption. This is particularly useful in both close spaces and skyscraper units, where privacy, outside noise, and visible glare are primary concerns. Combined with other window treatments such as roller shades and drapes, a layered organic look is just what the doctor ordered for your space. 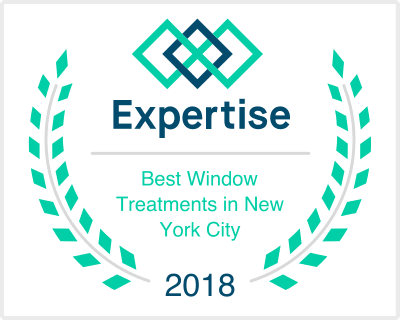 To know more about how our window treatments can improve the appearance of your space in New York City, contact us at (212) 343-9900.